I knew this 52 projects thing was going to be killer! I’m already feeling squished by my schedule and to-do list for 2015, but I’m still plugging away at creating intentionally. I’ve been making a lot of practical things, and this week’s project is no exception. Last fall I lost 21 pounds eating clean and doing some awesome workout programs. My husband is a fitness coach, and over the past couple of years he has helped me to fall in love with fitness again. Due to my weight loss, I’ve been wanting some new workout tops. There are so many awesome fitness clothes out there, but I thought it would be fun to try making some new ones from things I already own. 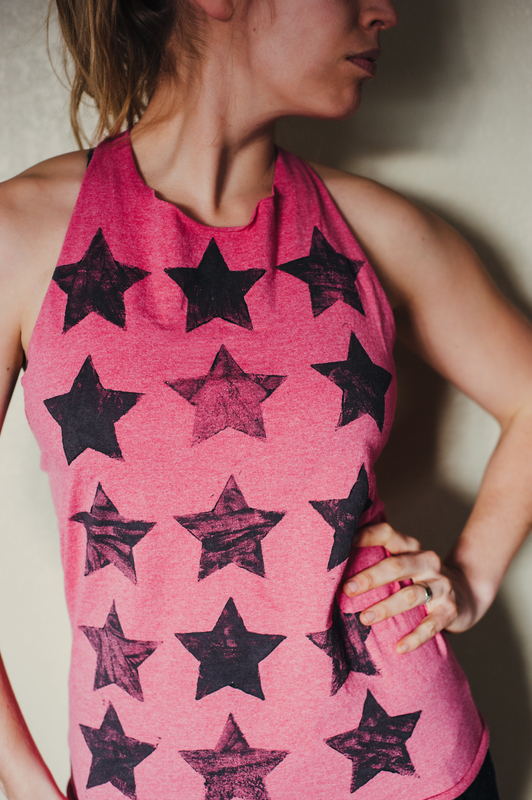 I’ve made workout tops from t-shirts before, using this tutorial from Blogilates. This time I used some plain tees I bought for workout tops for my hubby last summer but that he felt were too large. I like roomy workout tops, so I decided to use these. 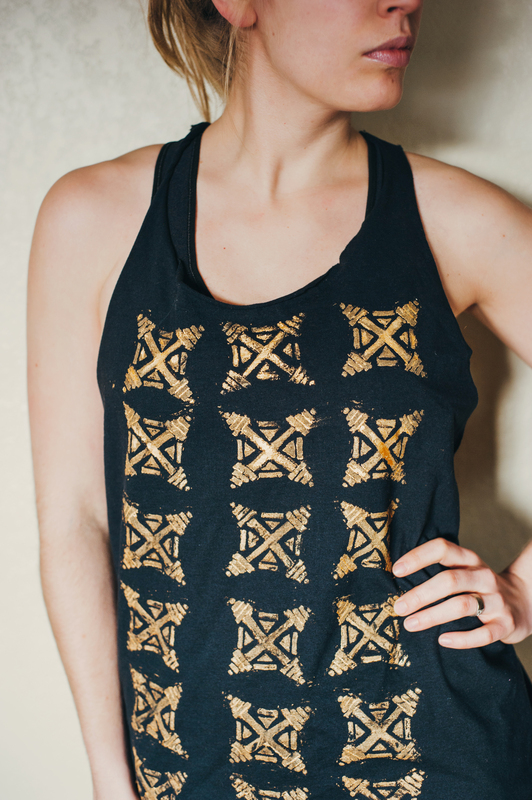 I hand carved a stamp for one of them, printed one with an existing stamp, and hand painted letters on a third, then I turned them all into racerback workout tanks. I LOVE THEM! 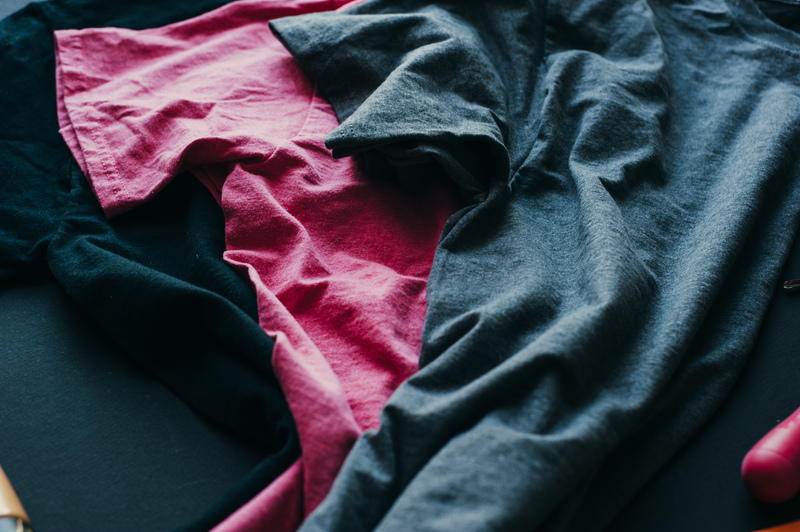 This is a very fun and quick project and it doesn’t have to cost anything if you have old t-shirts lying around that you’d like to turn into tanks. 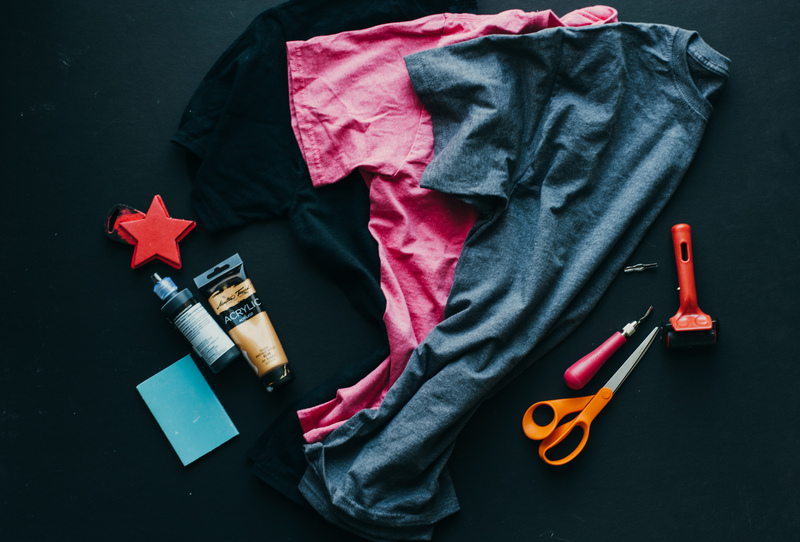 If you’re painting or printing, use thick paper or cardboard between the front and back of the shirt to keep your paint from bleeding through. Paint or print design. Allow to dry. 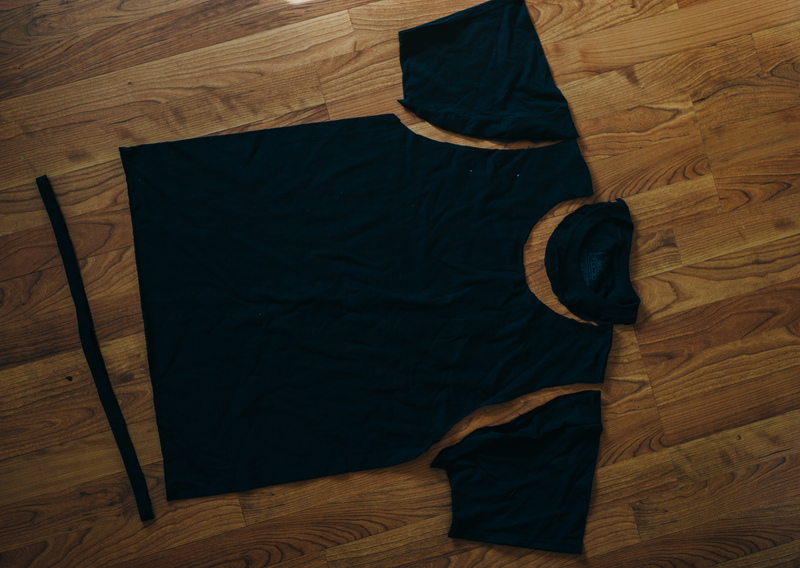 Follow the tutorial I linked above to turn the shirt into a racerback tank! To encourage your paint to wear the longest, iron it with a flour sack towel over it to set the design. Wash shirts inside-out. Below is the one I made from a hand carved stamp. I carved this stamp so it would create a cool looking print. It is two barbells crossed with some extra embellishments carved around it. I printed this one with gold acrylic. This last top was made using black fabric paint and a stamp I already owned. Have you ever tried a project like this? If so, link in the comments! 🙂 Happy Thursday, brave ones! 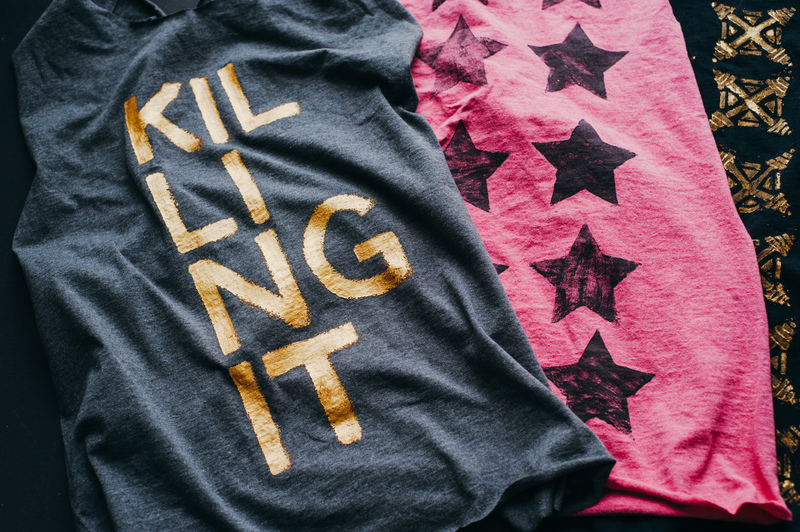 Absolutely love how the KILLING IT T-shirt is laid out! 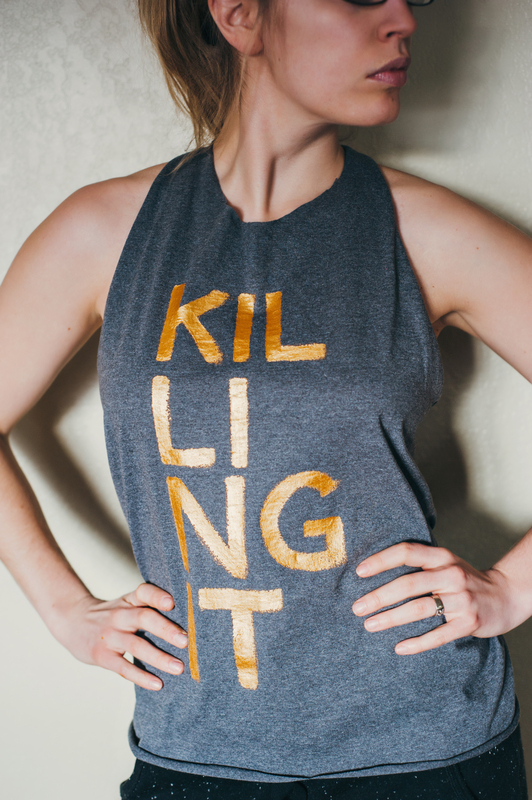 Awesome idea, the killing it is my fave one, a great way to upcycle and get cute workout clothes without the hefty pricetag! Ok, I would definitely buy a shirt that had that barbell print on it. It’s amazing!